Waterlife Aquarium has one of Melbourne’s largest range of tropical fish. From Tetras, Livebearers (Mollies, Guppies, Platies) Sharks, Catfish, American and African Cichlids, Discus, Angels, Barbs, Gouramis, Loaches and many more. Our video of our store below provides you with a small window of what we have to offer in Tropical fish. Our Range is HUGE! 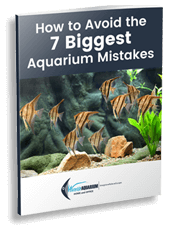 Fish compatibility is crucial when choosing tropical fish for your aquarium as some species grow quite large whilst others stay small. Our expert staff at Waterlife Aquarium will ensure you are educated on Tropical Fish compatibility. Check out this video below with some very small Neon Tetras swimming with some Dwarf Gouramis. Even though there is a size difference they are still compatible. We have a fresh batch of Tropical Fish arrive every week so sizes and varieties do change weekly. Pop in store regularly to ensure you get your first choice of the new arrivals. Click the button below to see some of our range.